A few years ago when, tragically, we began to lose more and more of our rock ‘n’ roll icons I made list of artists I had never seen live before but wanted to catch before they finally stopped touring. I had pretty much ticked off everyone on my list (Alice Cooper, Deep Purple, Ritchie Blackmore, Jerry Lee Lewis, Sabbath with Ozzy, The Who, Steve Winwood, Roger McGuinn) apart from two – Chuck Berry and Creedence Clearwater Revival’s John Fogerty. Sadly, a Chuck Berry gig was not to be but at London’s O2 I finally got the chance to see John Fogerty. Before Fogerty we have a full set from the Steve Miller Band, Miller himself celebrating fifty years in the business as he delights us with classics like ‘Abracadabra’, ‘Space Cowboy’ and ‘The Joker’. I’ve sometimes found the atmosphere in the O2 a bit sterile at times, particularly for support acts, and even though I can’t help feeling I would have liked to have seen this hour-long set in a more intimate venue nevertheless he and his band are warmly received and there is genuine affection for Miller and co.
After the interval the atmosphere is simply buzzing as John Fogerty takes the stage. His voice, his guitar, his songs and his stage demeanour leave every member of the packed O2 in no doubt that we are in the presence of one of the true icons of American rock music. The classic songs come thick and fast: ‘Travelin’ Band’, ‘Up Around The Bend, ‘Who’ll Stop The Rain’, ‘Born On The Bayou’ and many, many more. And paying tribute to the musical traditions of the American south the band deliver fine covers of ‘My Toot Toot’, ‘Jamabalya’ and ‘New Orleans’ before launching into another round of era-defining Creedence classics, including ‘Have You Ever Seen The Rain’, ‘Fortunate Son’ ‘Bad Moon Rising’, ‘Proud Mary’. Fogerty’s post-Creedence output is represented by ‘The Old Man Down The Road’ (the track for which Fogerty was famously accused of plagiarising one of his own earlier songs in one of his many legal battles) and ‘Rockin’ All Over The World’ (indelibly imprinted in the minds of every British rock fan due to Status Quo’s legendary cover – but it’s great, for once, to see the song performed by the man who wrote it). My one tiny regret is that we don’t get ‘Some Day Never Comes’ a moment of sheer unadulterated brilliance on CCR’s very patchy final album, recorded just as the band were imploding. Nevertheless, every single second of John Fogerty’s set tonight is a bucket-list performance at a bucket-list gig. I am very happy I was there to witness it. How do you end the most iconic heavy metal band of all time? At one point, a couple of decades after their 70s heyday, it looked liked it might be with a constantly changing cast of replacement musicians, declining album sales, less than enthusiastic ticket sales and something of a whimper rather than a bang. But, following an initial reunion in the late 90s, a mega-successful album with ‘13’ and a hugely successful world tour which reunited three of the original four members in 2013/4, fans hoped that there would at least be one more opportunity to say a final farewell, even in spite of a hugely worrying lymphoma diagnosis for Tony Iommi. So here we have it: The End – Black Sabbath’s final farewell tour which reaches it’s ultimate conclusion with a couple of dates at London’s O2 and two final concerts in the band’s home city of Birmingham. And it’s every bit as magnificent, spellbinding and heavy as Black Sabbath should be. From the familiar doom-laden chords of the opening ‘Black Sabbath’ to the unforgettable riff of ‘Paranoid’ for the encore, every single minute of this concert was special. Geezer Butler delivers those unmistakable bass-lines, Tony Iommi delivers that unmistakable crunching guitar and Ozzy Osbourne delivers those unmistakable wailing vocals – the essential and unchangeable ingredients that make Black Sabbath what it is. Yes, it’s a shame that Bill Ward is not here to participate in this final tour but drummer, Tony Clufetos, does an absolutely outstanding job with immense energy. I doubt, really, whether anyone could have done it better. Ozzy, as always, is a fascinating character. Between songs he shuffles around the stage like the mumbling, slightly bewildered figure TV viewers came to love so much. But the second a song starts he is instantly transformed into the wailing, demonic rock god that fans of the ultimate heavy metal band have always known. My first ever live experience of Black Sabbath was with Bev Bevan out of ELO on drums and Ian Gillan out of Deep Purple on vocals, encoring with Smoke On The Water (?!) How fitting that what is likely to be my last has Tony, Geezer and Ozzy performing Sabbath exactly the way it should be performed. It was an absolutely magnificent performance, stunning setlist and suitably evocative special effects. The atmosphere at the O2, which can be a bit lacking at times however good a band is, was absolutely electric from start to finish. Whatever happens now this band has made it’s mark on rock music a billion times over and their contribution will not be forgotten. Thank you Black Sabbath. Sound-wise the band really gets into the vibe of the era, particularly when it came to the gloriously eccentric ‘Johnny Remember Me’ which channels the other-worldly weirdness of Joe Meek’s original production to the full. John Cooper Clarke has a magnetic stage presence, some hilarious between song banter, combining absent-mindedness, self-deprecation and biting sarcasm in equal measure, and a just-about-passable singing voice. As they leave the stage to huge applause I think to myself it’s not a spectacle I’d want to go and see very often but I’m really glad I’ve witnessed it at least once. We’ve got the great Hugh Cornwell here though, and so I’m hoping, really, really hoping he’s going to come back on and rattle through a few Stranglers classics while he’s here, too. In the world of classic rock/heritage rock/dad rock, call it what you will, three out of five members from the heyday era of a late 60s/early 70s rock band is pretty good going these days. So those buying a ticket for Deep Purple at the O2 still get to see Ian Gillan on stage, joined by the rhythm section for much of the band’s history Ian Paice and Roger Glover, just like when the classic Mark 2 incarnation of the band recorded Deep Purple In Rock, Machine Head and Made in Japan. And while Ian Gillan, Ian Paice and Roger Glover are on fine form tonight it would be unfair to suggest that it is only the presence of these three that make the band worth seeing. Guitarist, Steve Morse, has now been with the band 21 years, joining not long after Ritchie Blackmore walked out seemingly for the very last time. And keyboard player, Don Airey, who many will recall from his time in Blackmore’s original post-Purple project Rainbow, has now been with the band 13 years, ever since founding keyboardist Jon Lord retired from the band before tragically succumbing to cancer. 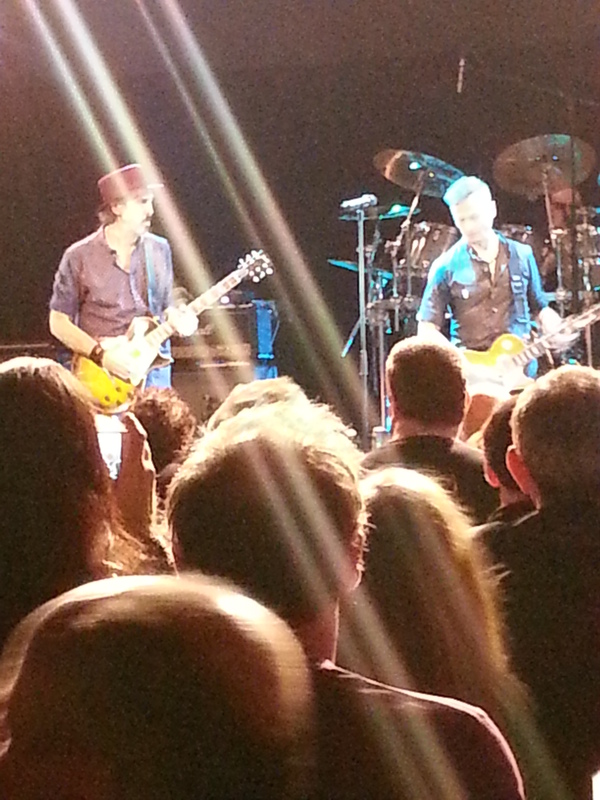 Both of these“new boys” are serious, world-class, heavyweight additions to the band as they demonstrate tonight. The O2 is a great venue for really big arena gigs in many respects. But I’ve noticed on several different occasions now that for those in the banks of seating around the sides, where we were seated tonight, the audience can take a little bit of time to warm up. Clearly, they were enjoying it. But unlike those on the main floor the audience remained resolutely seated. Given I was starting to get cramp and given there was no way I was going to remain seated for Smoke On The Water I decided that as soon as I heard the opening da da der – da da da der, I would jump up in my seat and hope that everyone else would follow me. They did. And the band stormed through Smoke, through their first ever single Hush and, finally, through a roaring version of Black Knight. The crowd lapped it up. O2 audiences can take a bit of warming up but they get there in the end. Bluesy heavy rock fronted by ex-Deep Purple vocalist, David Coverdale, Whitesnake in the late70s/early 80s were utterly brilliant. One of the first rock albums I ever bought as a teenager was Ready an’ Willing. Whitesnake evolved into something quite different but the early vintage of Whitesnake was always the one I was most interested in. Ex-Whitesnake members, guitarist Micky Moody and bassist Neil Murray, are keeping the flame alive with Snakecharmer, playing a mix of Whitesnake classics and newer material in that similar melodic, bluesy heavy rock similar vein. The Whitesnake veterans have teamed up with ex-Wishbone Ash guitarist, Laurie Wisefield; the son of Rick Wakeman and keyboard supremo in his own right, Adam Wakeman; and Thunder drummer, Harry James. They are joined by vocalist Chris Ousey who handles the David Coverdale material perfectly, yet resisting the temptation of becoming a Coverdale trinute act. I’ve seen another former Whitesnake member, Bernie Marsden, perform solo on several occassions and it’s nothing less than an absolute joy. But while Marsden’s shows these days duly celebrate the Whitesnake legacy there is a real emphasis on the slower blues that is his love and passion. A Snakecharmer gig, however, is more in the spirit of the heavy rocking nature of early Whitesnake, with the added bonus of a top-class lead vocalist and, of course, Micky Moody’s irreplacebale slide guitar playing. And anyone who thinks that an extended drums and slide guitar solo spot is a tad self-indulgent and over the top needs to het along to a Snakecharmer gig to see just how good this can be. There’s some great new material. But, more than anything it’s those old Whitesnake numbers we are at this gig for. And how glorious it is singing along to Ready an’ Willing, Here I Go Again and Fool For Your Loving. I was 15 again, deftly manouevering myself to the very front row at Donington with my mate Gareth. The simple, life-affirming, communal joy of live rock music. So how devastating it was getting home after the gig and finding out about the terrible events in Paris: other rock fans, like me, just wanting to enjoy the simple pleasures of a night out at a live gig. But tragically, unlike those of us at the Islington Academy tonight, many of them never coming home. I was reminded immediately of the emotive words of another of David Coverdale’s erstwhile colleagues, Glenn Hughes. Only a couple of weeks earlier on the final night of his UK tour Hughes spoke emotively and passionately about the beauty of music and its ability to break down barriers and bring people together, even when there is so much hate in the world. Terrorism will not stop that. 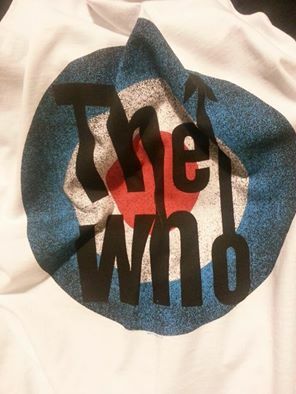 As one after another of the renowned sixties beat groups hit their 50th anniversary it’s fair to say my adopted city of London did pretty well in churning out what would be some of the biggest and most influential names ever: The Stones, The Kinks, The Small Faces and, of course, The Who. So it seems entirely appropriate to be sitting in London’s largest and most prestigious music venue to be celebrating The Who’s anniversary fifty and a bit years after the release of their breakthrough single, I Can’t Explain. It would have been fifty years exactly but for Roger Daltrey’s bout of laryngitis last year. But the o2 is full tonight and last night for the rescheduled dates. The band, Pete Townshend and Roger Daltrey being supported by a strong cast of supporting musicians including Zak Starkey on drums begin, appropriately, with a brilliantly energetic I Can’t Explain and proceed to rattle their way through the sort of classics that anyone with a Who Greatest Hits album would expect: Substitute, Who are You, My Generation, Join Together, You Better You Bet and much more. Some suitably retro Mod-inspired 60s graphics accompany the band on the big screen throughout. We then begin to meander into the more experimental rock opera phase. Not the side of The Who I warm to the most but nevertheless it’s performed well, gives Townshend the chance to flex his creative muscles and Daltrey the chance to relax his vocal chords on a couple of numbers. 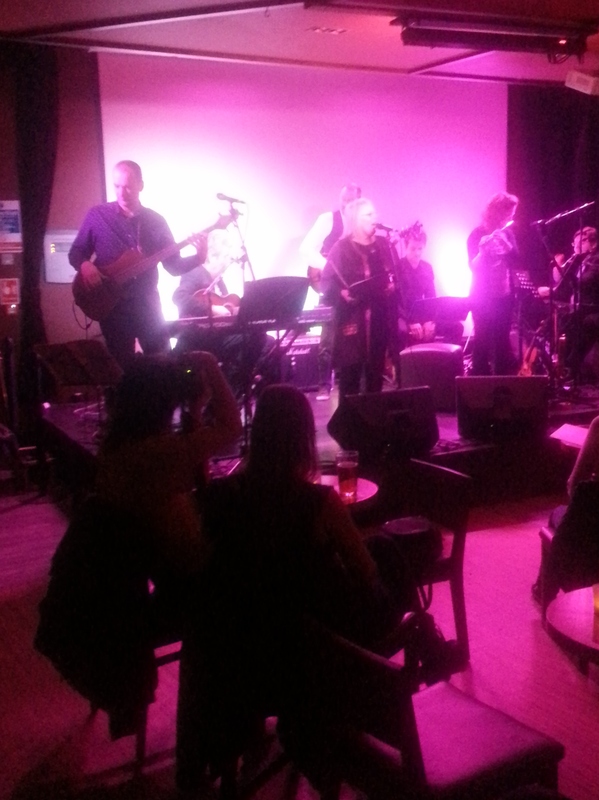 It’s all finished off with a blistering Won’t Get Fooled Again. “Hope I die before I get old” is the line that critics have always thrown at the two surviving members of The Who whenever they decide to take to the road. But in a strange and prophetic way the lyrics have turned out to be absolutely true. The post-war baby boomer generation have refused to become old, certainly in a way that any previous generation could possibly have recognised. Rock ‘n’ roll not only changed what it meant to be a teenager forever, it has also changed what it means to be a pensioner forever. Happy 50th The Who!